It can be difficult to understand how things can go so wrong with interactions between the police and the public. One question we had at Youth Radio was how the training of law enforcement officers factors into the tragic incidents we’ve seen over the past year. To help us gain insight, we turned to Sergeant Keith Gums, a retired 23-year veteran of the Alameda County Sheriff’s Office. Gums has trained fellow officers in the tactics of modern policing. As a general practice, Gums says he tries not to comment on other police officers’ conduct. But shortly after Michael Brown was killed in August of this year in Ferguson, Missouri, Gums walked us through the uses of force in the deaths of both Michael Brown and Eric Garner. In this first video below, we begin with the Garner case in New York City. 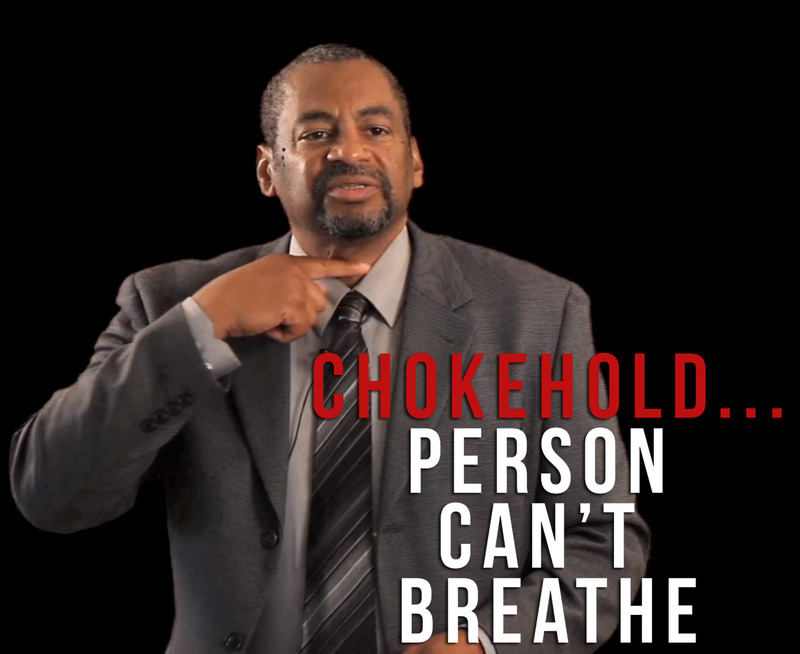 Gums explains the difference between what is commonly called a chokehold and the practice known as a “carotid restraint.” Gums explained the difference — one crushes the windpipe, the other causes the subject to pass out — and the dangers of both. In the third video, Gums went on to talk about issues of power and submission. He critiqued an attitude he’s seen officers take on toward citizens: “You must always do what I say, when I tell you to do it.” Gums said he would encourage a different mode of policing, “because people are human beings.” Even if Michael Brown did strike Wilson and bang his head against the wall of his car, as has been reported. “At the point that Michael Brown stopped, that’s when the officer has to stop,” said Gums.